GUELPH, ON (February 9, 2012) – The new board of directors at Grain Farmers of Ontario met for the first time this week and the 2012 Executive Committee has been chosen. The board elected Henry Van Ankum as the new Chair of the organization to replace Don Kenny who, as the first Chair of Grain Farmers of Ontario, has completed two years of dedicated service and is congratulated by the board and staff for his many accomplishments in the position. “I am excited about the challenge ahead to build upon the solid foundation laid in the first two years of our organization,” says Van Ankum. “Don was an effective leader, representing GFO well, and I look forward to continuing his work to provide strong representation for our members provincially and nationally. Mark Huston was elected to the role of first Vice Chair on the Executive Committee. Huston is the director representing District 2 in Kent County. Second Vice Chair is Mark Brock, from the Stratford area in District 9. New to the Executive Committee is Leo Guilbeault from District 1 who will take on the role of Executive Member. 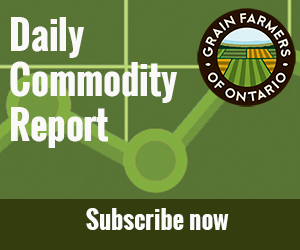 Also in 2012 there are two new directors on the Grain Farmers of Ontario Board – Kevin Armstrong representing District 7 and Colin Elliot representing District 11. 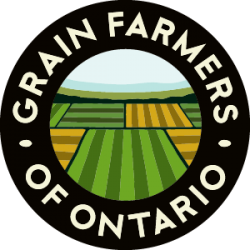 For a complete list of the directors on the Grain Farmers of Ontario board and the elected delegates from each district, please visit www.gfo.ca.